What’s the biggest drawback when you lose connectivity in the field? You don’t have access to your data. Application developers (including Cliffhanger Solutions) have gone to great lengths to overcome this by building offline functionality, storing data on the local device, etc. But the solution is not ideal. For one, storage space is limited compared to the cloud. Also, however simple it may be, the user needs to prepare (i.e. download) data before going into the field. So we thought, why don’t we bring the data and intelligence to the edge? We thought, what you want is to have your server around, so you always have access to all data and all functionality. So that is, essentially, what we did. We took the concept of “Atlas in a Box“, miniaturized it, and made is maintenance free. This is how it works. 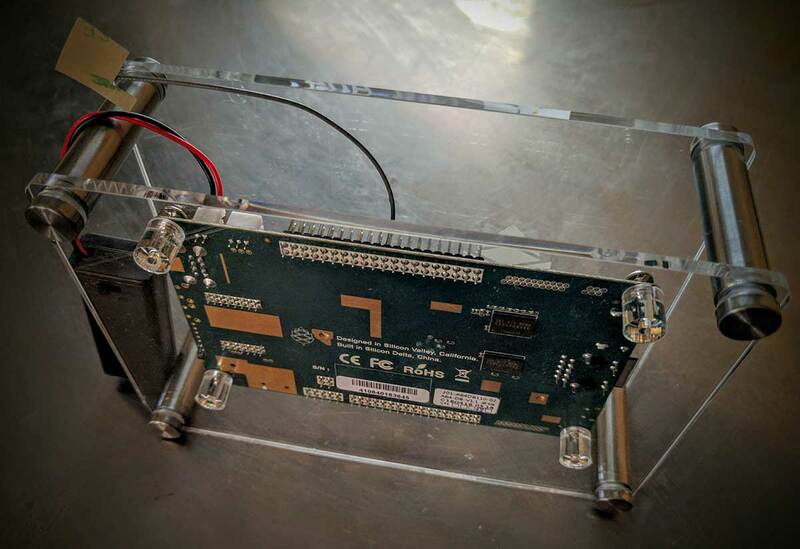 We built an SBC (single board computer) with Ethernet, Wifi, battery, and plenty of capacity (4 cores and 64GB) and made Atlas run on it. While in the office, the box is connected to the network using the Ethernet. This allows for fully automatic data refresh. Just plug it in. When you’re ready to go, unplug it and put it in the truck/car. Now, while in the field, when you lose network coverage, you can use “Atlas Hotspot”. Simply connect to the local hotspot (the Wifi is configured as a hotspot) and use Atlas from your device (iOS, Android) as usual. It is that simple. Alternatively, it can be installed in the truck and in that case, updates can be received over Wifi if you’re within range of the office network or another broadband (cell) network. Zero user interaction is required in this case.You could, of course, still use Atlas’ offline mode by using data on your local device. But if you need full search capability or network tracing, then Atlas Hotspot is the way to go. Cliffhanger Solutions is committed to forward thinking in innovative ways. To summarize, we did an Internal R&D (IRAD) project to mobilize servers and take the concept of ‘back office’ completely out of the equation because you always have the back office with you.